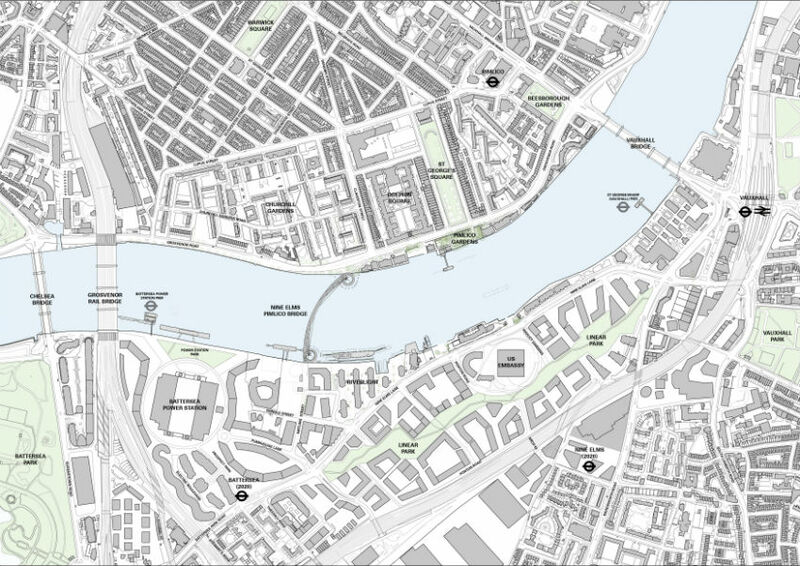 A preferred location has been identified for a new Thames bridge linking Nine Elms and Pimlico by the bridge design team, appointed by Wandsworth Council. 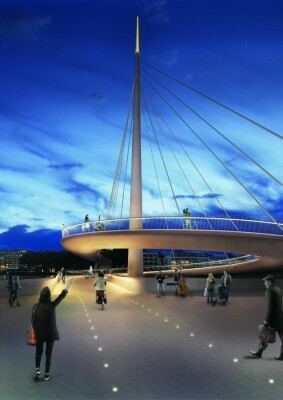 the preferred location presents an opportunity to positively shape public space on the riverside. 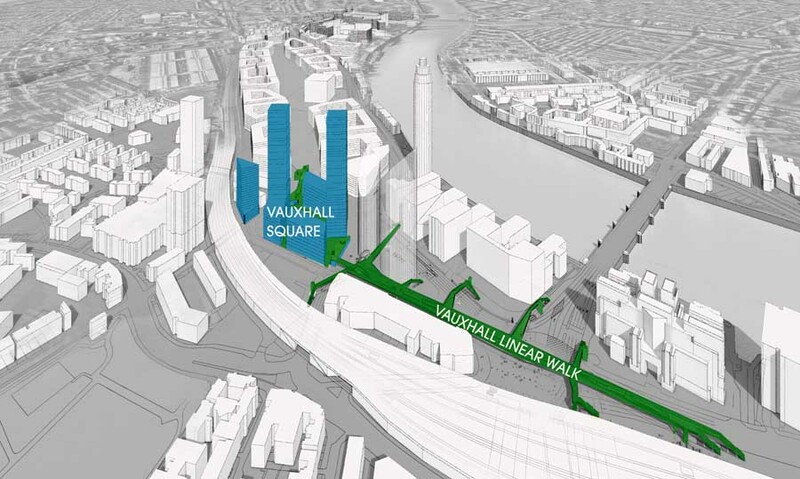 Whilst all three locations were deemed to be viable, the recommended location is seen as the best opportunity to create new, sustainable transport links connecting the Vauxhall Nine Elms Battersea (VNEB) Opportunity Area with local neighbourhoods and communities, and the rest of London beyond. 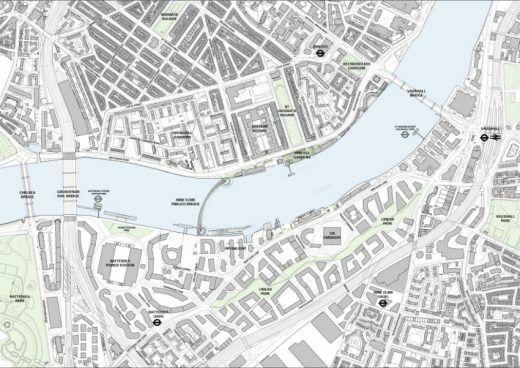 A new public consultation in November 2018 will look at three potential locations for a proposed bridge across the Thames between Nine Elms and Pimlico. A design team led by Denmark’s Bystrup Architecture Design and Engineering with London-based Robin Snell Architects has been carrying out exploratory design work on a new bridge for Wandsworth Council. It would be one of the first Thames crossings developed specifically to meet the needs of both pedestrians and cyclists. 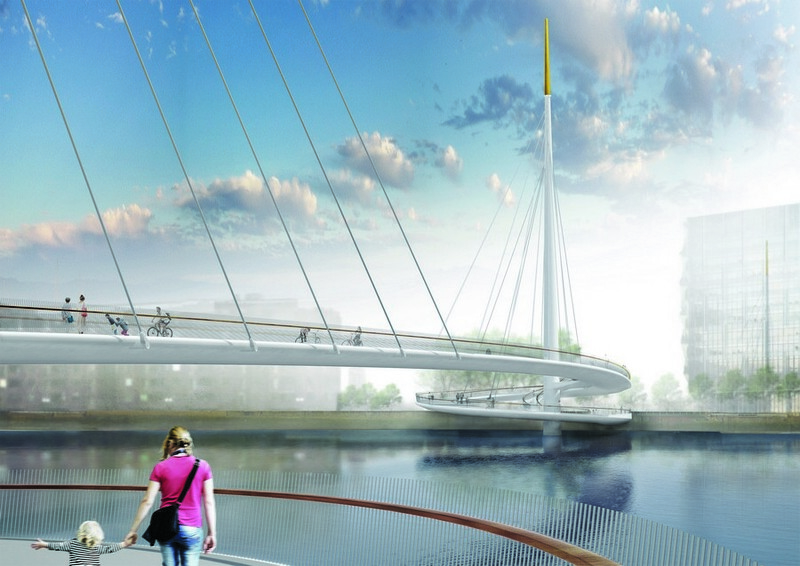 New London Architecture chair Peter Murray has hit out at ‘nimby’ opposition to the controversial Nine Elms Pimlico footbridge after Westminster councillors criticised the project’s latest developments. He criticised Westminster councillors for not supporting cycling and collapsing at every protest by change-resistant residents’. 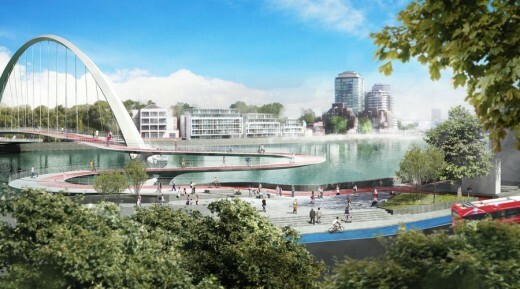 Peter Murray claimd there is a real need for a connection at this point in the river, saying it does not matter that the project is “developer driven”. Public consultation in 2017 narrowed nine potential bridge locations down to three, which are now the subject of this latest round of consultation and further technical and feasibility work. £26 million in private funding has been identified from the development of the Vauxhall Nine Elms Battersea opportunity area and a new, sustainable river crossing is supported by the Draft London Plan. The original nine possible locations have been reduced to three after extensive consultation and technical work undertaken in 2017. An exhibition will enable local residents to give the project team their opinions. A final, preferred location being recommended to Wandsworth Council in 2019. 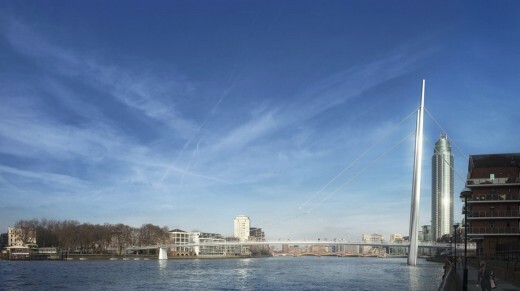 The Mayor of London Sadiq Khan has questioned the winning proposals for the Nine Elms and Pimlico Bridge Competition in London, reports the Architect’s Journal. 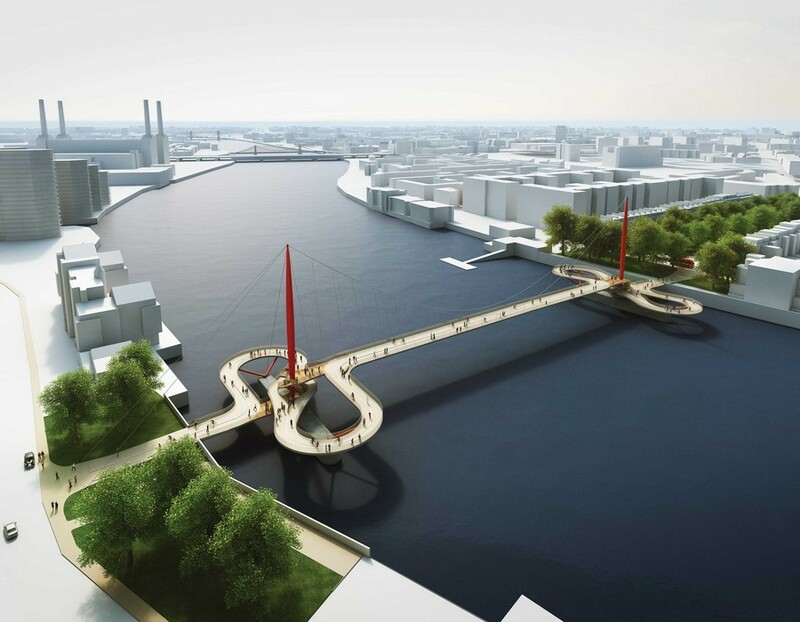 Last year Wandsworth Council chose Danish architecture and engineering practice Bystrup with Robin Snell Architects to design a new £40m crossing. This followed an international architecture contest with 74 entries from across the world. However the result sparked a backlash from both design experts and local residents, especially those north of the River Thames in Westminster who were concerned about its landing site in Pimlico Gardens. 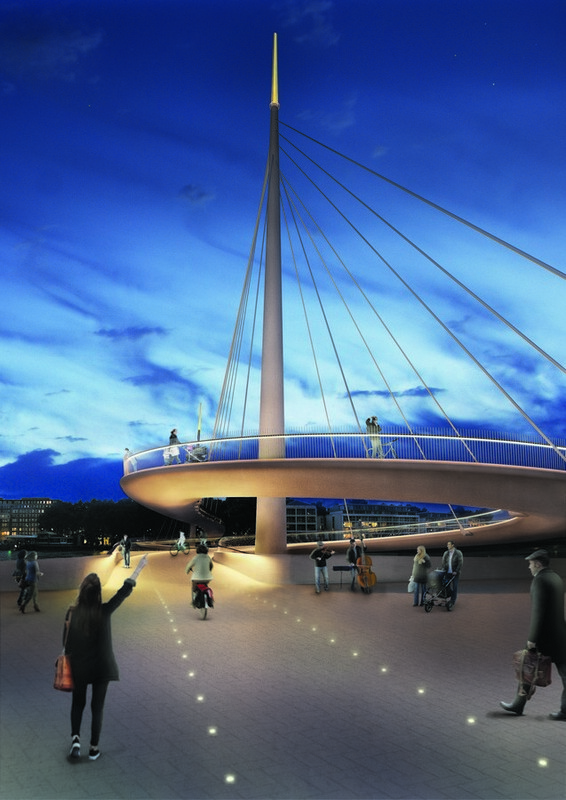 As well as a petition against the design competition and a ’wide-ranging community campaign’, Labour and Conservative councillors on Westminster Council voiced ‘cross-party opposition’ to the 920m-long pedestrian and cycle bridge. 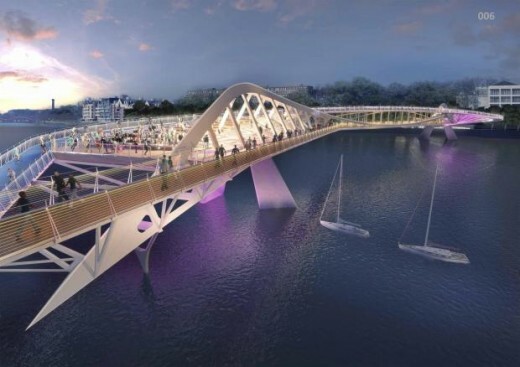 Now Sadiq Khan appears to have poured more cold water on the scheme, which is backed by Wandsworth Council and Transport for London (TfL), after he announced that the bridge could not go ahead without ‘support from all’. “It takes two to tango, and two sides of a river to make a bridge. 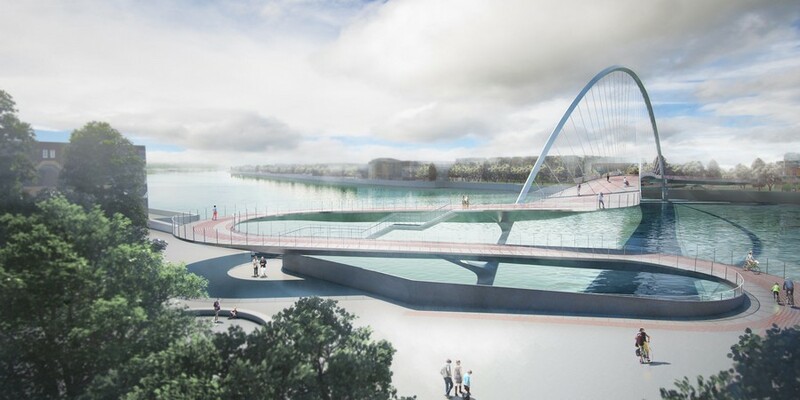 But in triumphantly unveiling the winning design for a new pedestrian and cycle crossing between Nine Elms and Pimlico in south London today, Wandsworth council has overlooked one tiny detail: the other side of the river really doesn’t want it. 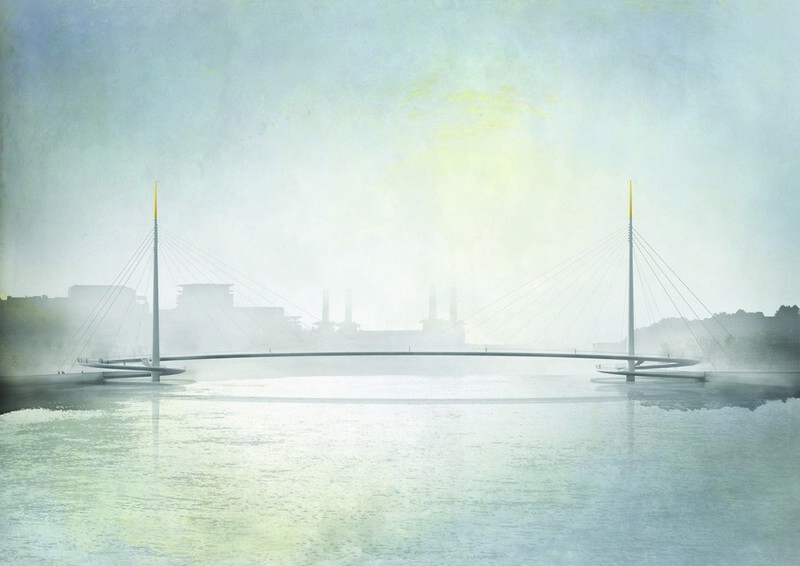 Bystrup and Snell set for Nine Elms and Pimlico Bridge Competition win. The design team led by Bystrup with Robin Snell Architects with AECOM and planning expert DP9 is reportedly due to win the architecture competition to design a new £40m bridge in Nine Elms, south-west London. The Danish architecture and engineering practice has been recommended for the job ahead of teams including Amanda Levete’s practice AL_A, Marks Barfield Architects, and Hopkins Architects. 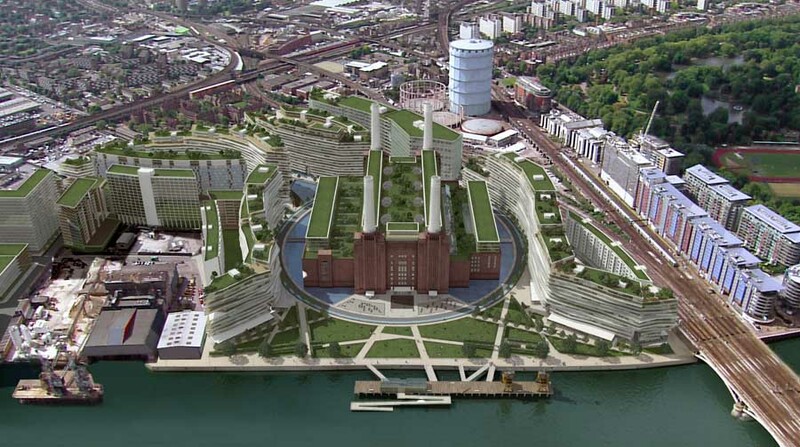 According to Wandsworth Council, the decision follows a ‘unanimous endorsement from the contest’s jury panel’. 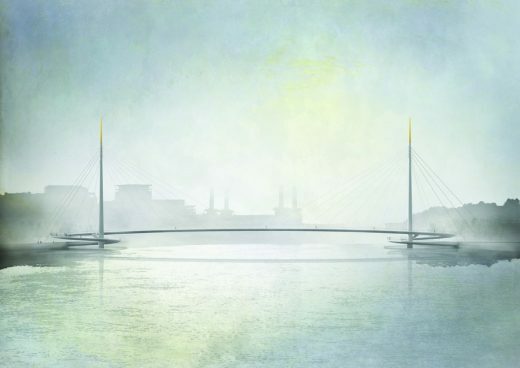 A design team led by Bystrup Architecture Design and Engineering is on course to win the Nine Elms to Pimlico Bridge competition following a unanimous endorsement from the contest’s jury panel. 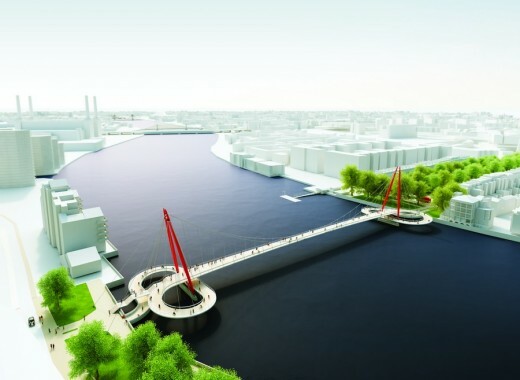 The recommendation, if followed by Wandsworth’s Council, would see the team named preferred bidder for the project and tasked with developing detailed plans for central London’s first car-free bridge for cyclists and pedestrians. The full team includes Bystrup, Robin Snell & Partners, Sven Ole Hansen ApS, Aarsleff, ÅF Lighting Aecom, COWI Engineering and DP9. 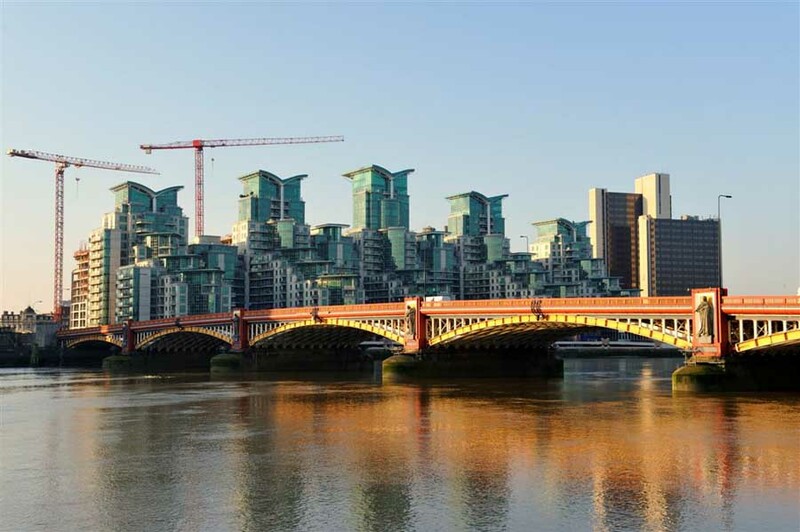 The Nine Elms and Pimlico Bridge Competition began earlier this year with the aim of identifying world class architects and engineers to take on the project. It attracted 74 entries from across the globe including some of the best known names in the design industry. A summary of the initial design proposals from the jury panel’s preferred team can be viewed online. “This was an extremely difficult choice between four excellent teams, but ultimately we felt that Bysrup and their partners had the most compelling approach to the challenges posed in our brief. Their strategy is elegant and simple, they aspire to celebrate the river and create a thing of real beauty which is what this bridge should be. The panel’s recommendation will be discussed later this week by Wandsworth Council’s finance and corporate resources committee. A final decision will be made by the council’s executive group on November 30. Amongst the most difficult puzzles which the winning design team has had to overcome is the bridge height which has to rise high above the banks so large vessels can pass beneath. This has been done without creating slopes too steep for cyclists and pedestrians. It needs to be fully accessible for disabled people, and bikes and walkers travelling in both directions must be able to get across safely and effectively without coming into conflict. A TfL transport study confirms the Nine Elms to Pimlico bridge has a strong business and transport case and would provide another valuable route through central London supporting the shift towards zero emission, sustainable travel options. 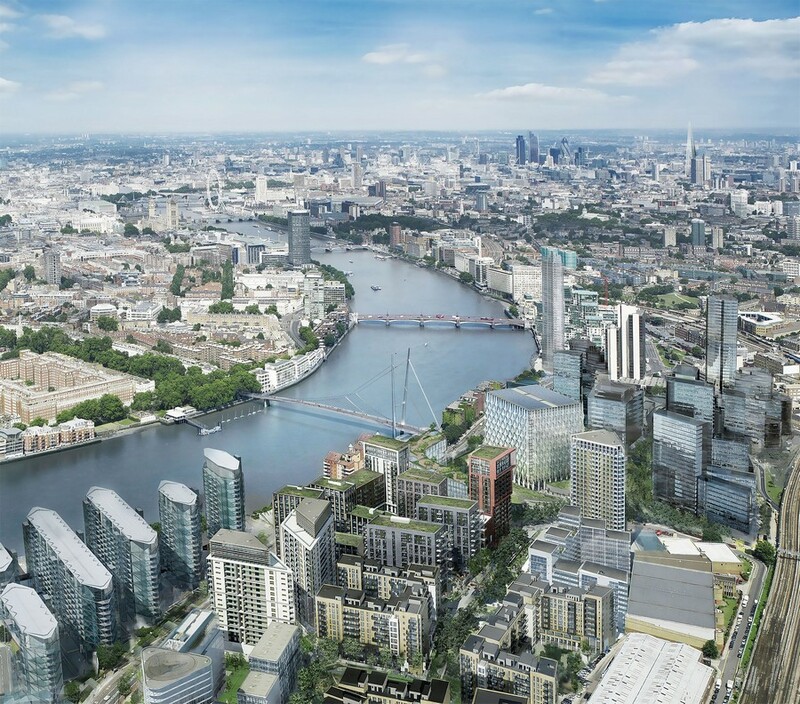 A £26million contribution is already identified from the development of Nine Elms and further funding options will be explored in tandem with developing a detailed design. 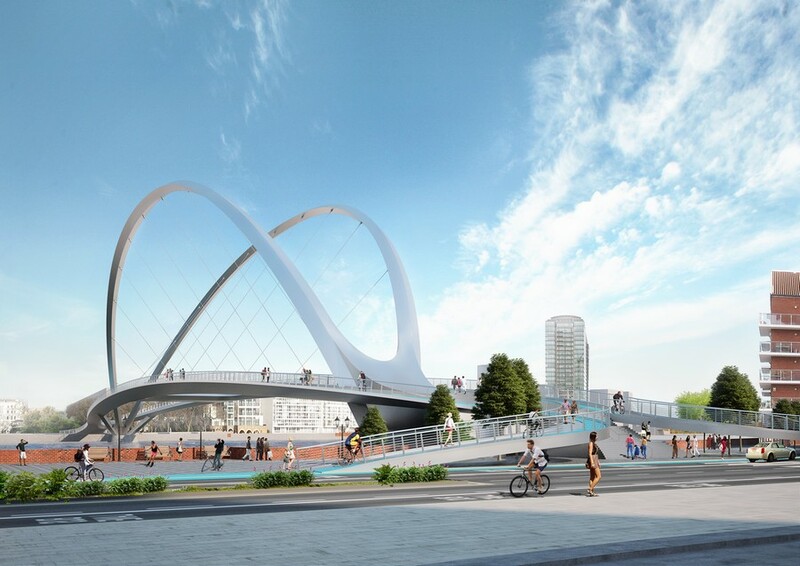 The bridge is part of the infrastructure package needed to provide access to the new Nine Elms on the South Bank district where tens of thousands of new jobs and homes are now being created alongside new shopping and cultural attractions. The Nine Elms and Pimlico Bridge Competition is being managed by Colander Associates and follows OJEU public sector procurement processes so the successful design team can be appointed to the project. 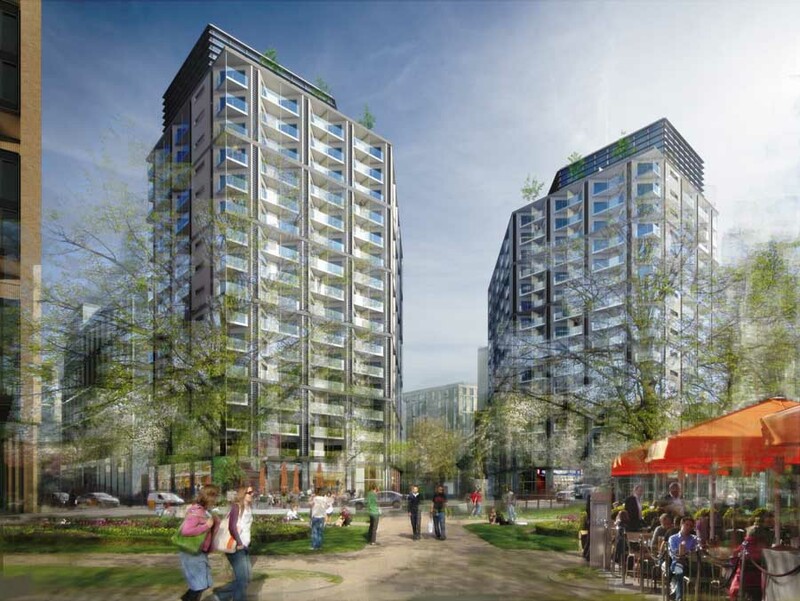 The scheme would need to go through the planning system before it could be built, and would need consent from Wandsworth and Westminster Councils, as well as the Mayor of London. 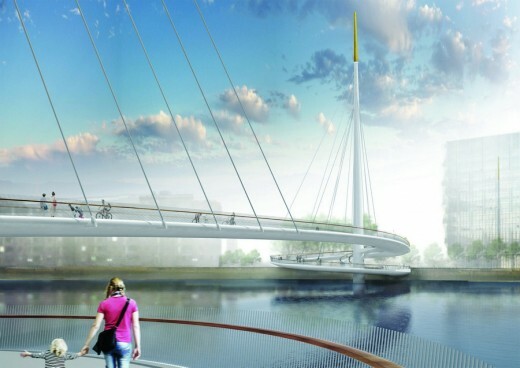 Updated proposals for a new pedestrian and cycle bridge across the Thames between Pimlico and Nine Elms have been unveiled as part of a design competition run by Wandsworth Council. Londoners are being invited to comment on the four alternative proposals, each of which is being developed by a team of internationally renowned architects and engineers. The four competing teams were shortlisted earlier this year from among 74 initial competition entries. Since then the design ideas have been developed further and will be on display at exhibitions in Wandsworth and Westminster in the coming days (details below). They can be viewed online at www.nepbridgecompetition.co.uk. The feedback received at the exhibitions and online will be fed into the competition’s jury panel which includes Wandsworth Council leader Ravi Govindia, Lambeth Councillor Joanne Simpson, architect Graham Stirk, engineer Henry Bardsley and Chair of Cabe at the Design Council Pam Alexander. The wining team will be named later this year. Among the most difficult puzzles for the design teams to overcome is the bridge height which has to rise high above the banks so large vessels can pass beneath. This has to be done without creating too steep a slope for cyclists and pedestrians. This is though to be the first bridge in the centre of a major world city designed around the needs of cyclists and pedestrians. Bikes and walkers will be travelling in both directions and must be able to get across safely and effectively without coming into conflict. 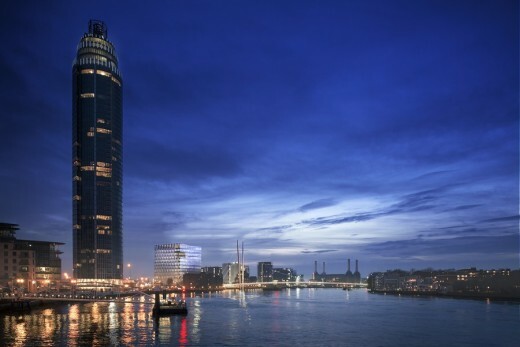 A £26million contribution is already identified from the development of Nine Elms and the new winning design would be used to lever-in further funding. The bridge is part of the infrastructure package needed to support growth in Nine Elms on the South Bank where tens of thousands of new jobs and homes are now being created alongside billions in growth and tax receipts. The competition is being managed by Colander and follows OJEU public sector procurement processes so the successful design team can be appointed to the project should it go live. 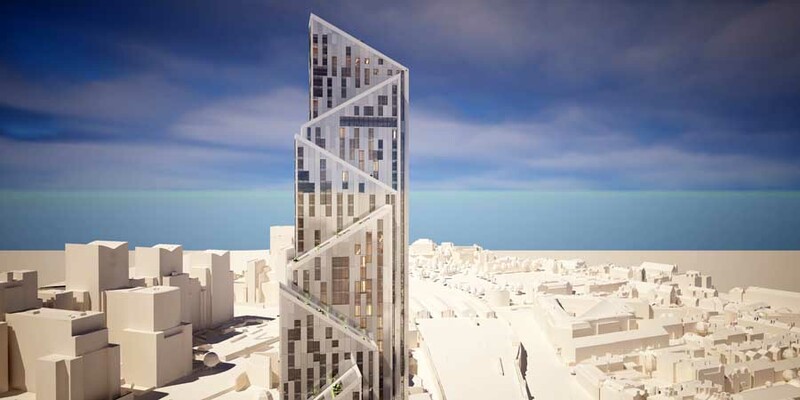 The scheme would need to go through the planning system before it could be built. 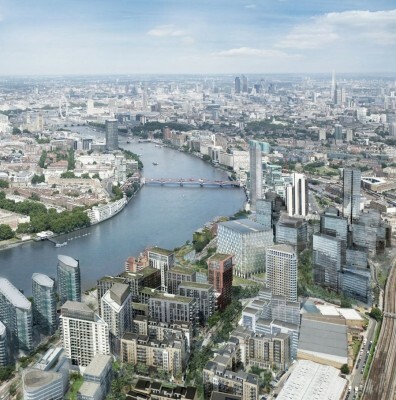 Find out more at http://www.nepbridgecompetition.co.uk/ and view the TfL feasibility study on the Nine Elms on the South Bank website. The new link between historic Pimlico and the cutting-edge development at Nine Elms should express the city’s ambitions for those neighbourhoods and for London as a whole. Images revealed of this new River Thames Crossing. A new pedestrian and cycle bridge connecting Nine Elms on the South Bank with the historic Pimlico embankment is a key component in the Partnership’s transport development plans. 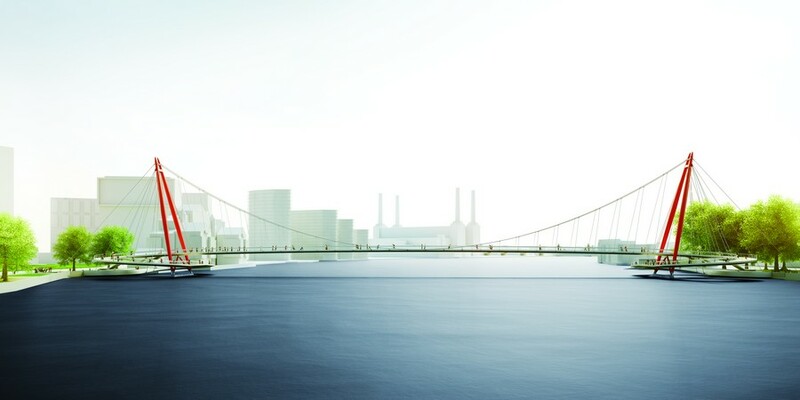 Transport for London (TfL)’s feasibility study has confirmed the bridge is viable and would be a valuable addition to central London’s transport network. 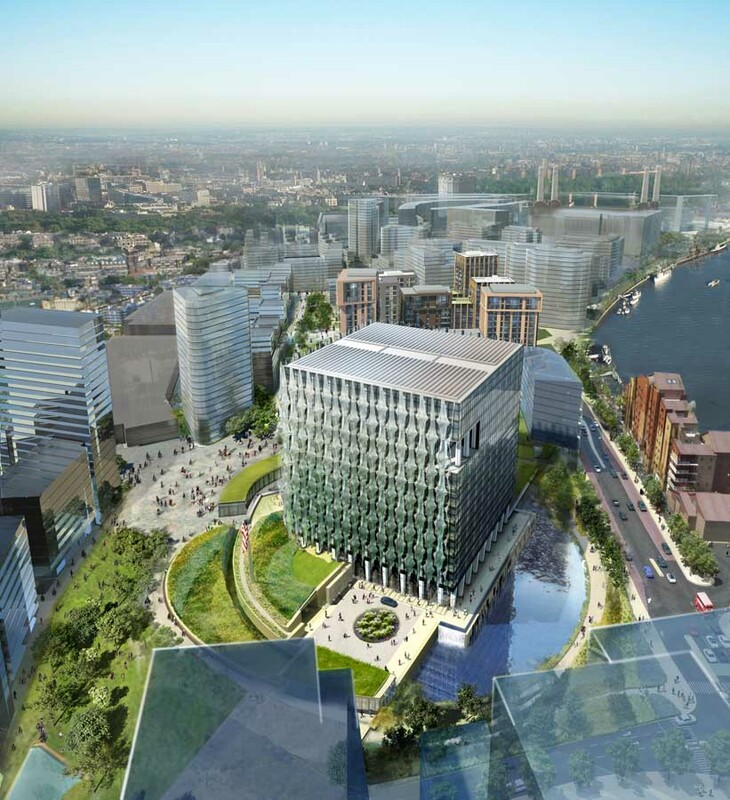 The exact location is yet to be confirmed but the preferred options would land close to the site of the new US Embassy. Once a winning design is revealed in summer 2015 the Partnership will explore a range of funding options which could include sponsorship. 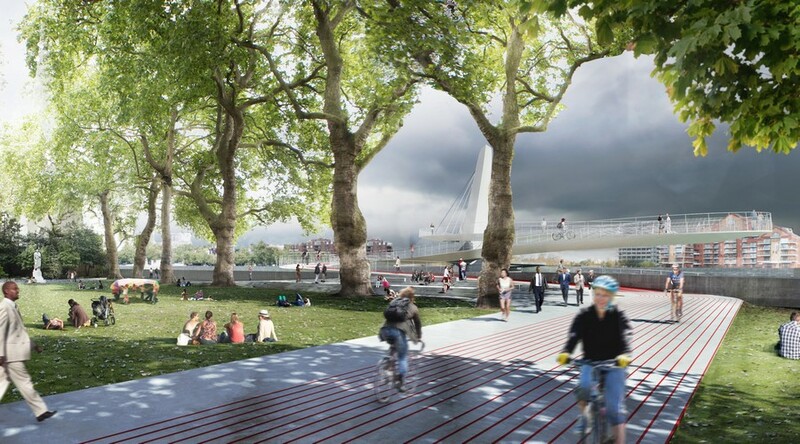 TfL’s feasibility study suggests the bridge would cost around £40m, providing a car free alternative to Vauxhall or Chelsea Bridges. A 2-stage design competition is now underway with the winning design due to be announced in summer 2015. 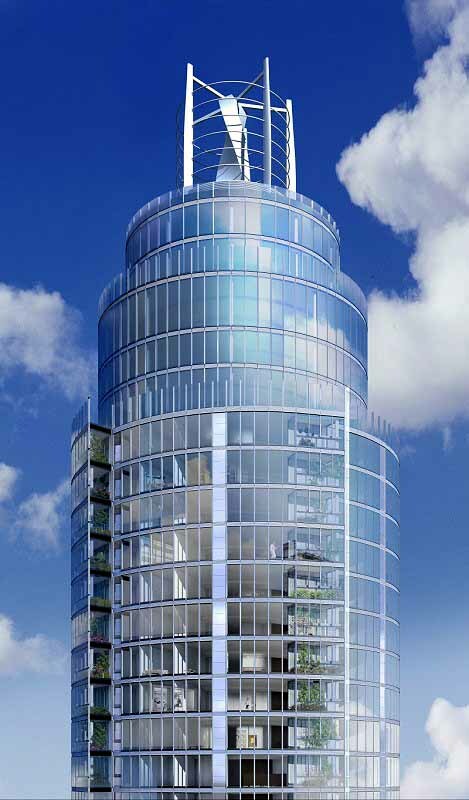 Any design taken forward would need planning approval from Wandsworth and Westminster Councils, and sign off from the Mayor of London, before being built. Please visit www.nepbridgecompetition.co.uk for further information. 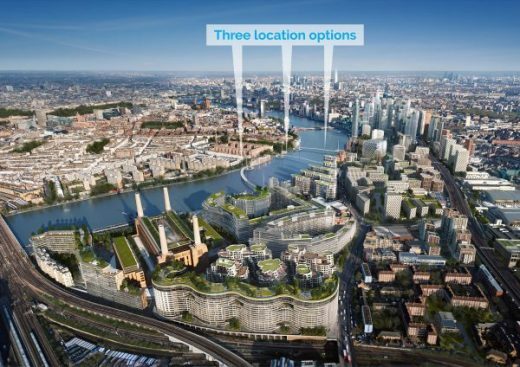 An ambitious plan to extend the cultural spine of London’s South Bank all the way to Battersea Power Station in Nine Elms is now being developed. 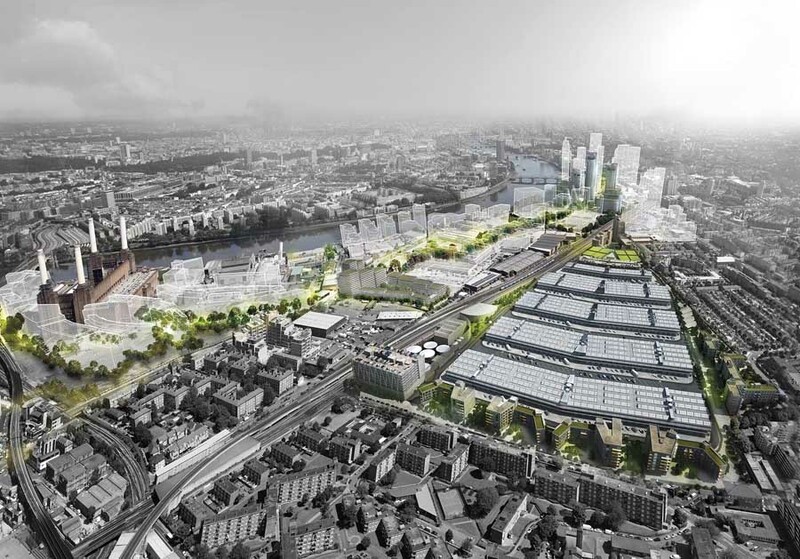 A multi-billion pound investment programme has started to transform the largely industrial Nine Elms district and a cultural placemaking consultancy is being brought onboard to help ensure the area reaches its potential as a new centre for arts and culture.